The 2017 annual report documents CeRDI's achievements in research and innovation throughout the year. 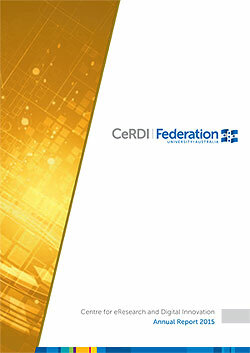 The report discusses; the �Co-operative Research Centre (CRC) projects that CeRDI has contributed to, how CeRDI defines eResearch, CeRDI's technological approach and also showcases CeRDI's research projects during 2017. The 2016 annual report documents CeRDI's achievements in research and innovation throughout the year. 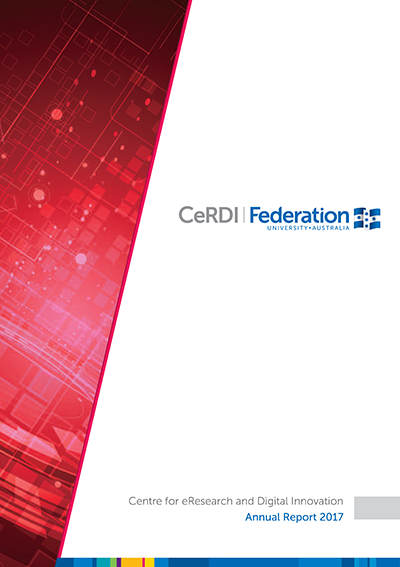 The report discusses how CeRDI defines eResearch, CeRDI's technological approach and also showcases CeRDI's research projects during 2016. 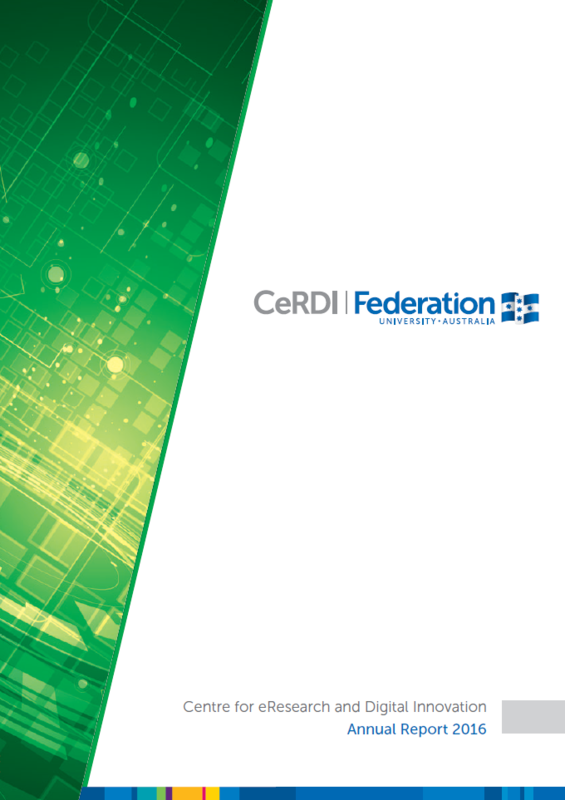 CeRDI's 2015 Annual Report documents the Centre's achievements in research and innovation throughout the year. The report highlights its increasing research capabilities across core areas, complemented by continued success with category 1 research funding, research publications, prestigious awards, and a growing post graduate student cohort.